Porterville, CA, May 23, 2007 – TEDCF Publishing, a leading Authorized Autodesk Publisher of interactive courses for Autodesk Inventor, today announced the availability of Accelerated Productivity 2008: Solid Modeling, the first in a series of certified courses for Autodesk Inventor 2008. Accelerated Productivity 2008: Solid Modeling is a comprehensive interactive course showing how to use all the commands associated with creating solid models. It can be launched from your desktop or from the Inventor menu bar. Using the latest multimedia technology, users can watch animated movies that describe how to effectively and productively use the commands. TEDCF’s customers are amply satisfied with the power of this course, as indicated from a marketing study conducted by TEDCF. While earlier releases of their courses significantly helped new Inventor users quickly get up to speed, the study shows that users already familiar with Inventor experienced as much as a 40% increase in productivity. 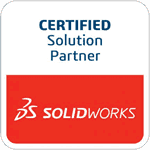 Learn more about Accelerated Productivity 2008: Solid Modeling.